You see it in the movies and hear horror stories from friends and family–they all say moving is one of the most stressful experiences. At Mods Moving & Storage, we believe quite the opposite. In fact, we know that through our expert moving and storage services in Haslet, TX, moving can be an adventure. Are you ready to take on an adventure with us? When you’re packing for the big day, you’ll notice you have accumulated some clutter over the years. You don’t want to toss anything, though. A secured storage unit is an easy way to clear some space and make moving a breeze. Some homeowners, perhaps yourself included, prefer convenience and portability. In that regard, we offer portable storage containers for rent. Each unit is weather-resistant, easy to load, and quite roomy. You can store more than enough in one for a short period. Our residential storage containers are guaranteed to hold all the clutter from your old home. Each unit is sizable enough to store furniture, electronics, clothing, and children’s toys. For anything you need to tuck away safely, our residential storage containers in Haslet are on the job. If you would rather have the convenience and ease of an onsite storage container, we can help. Loading everything directly from your home into each container is a breeze. We then transport the unit where you need – to your new home or elsewhere. Haslet, a small town in Denton and Tarrant Counties, within DFW, is just a short trip from downtown Fort Worth. With a community of just under 2,000, Haslet is the type of suburb where you know your neighbors, you walk the dog each night, and relax in the evening sun. Schedule professional moving and storage services with the best in the business. 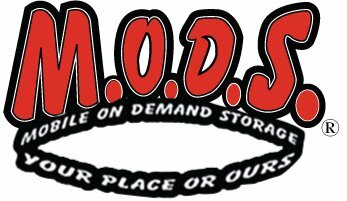 Call Mods Moving & Storage at 888-870-6637! Over here in Haslet, TX delivering another new 8x16 MODS portable storage container for a customer moving...happy moving.